enefic – the name has its origins in the Latin bene facere, meaning ‘to do good’ – and this is our overriding goal, to do good in the world in our own unique way. The Benefic product range will assist the professional therapist and treatment providers to bring the beneficial effects of authentic Thai Herbal Compress treatments to their clients. 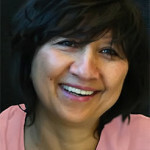 enefic founder Marienne Barbara is a qualified beauty and massage therapist with a holistic knowledge of the industry. She has worked in hands-on treatment, retail sales, marketing, consultancy, product education and sales training. Marienne has also been a business owner and a country sales manager, both in Australia and New Zealand. With more than 20 years’ experience in the health and wellness, beauty, cosmetics and fashion industries she has an in-depth understanding of what therapy providers and business owners need, and appreciates the importance of providing quality health and beauty products that produce real results for clients.